The Skiing, an alternative to skiing and snowboarding. Or for those who can not ski right now but want to enjoy the winter sports! Others will be snowbike, skibob and skifi for Skibike. Jykk ONE is a snowscoot brand Jykk. The One model A starter model and expanding is possible by different boards. Jykk Style A stands for all-round. 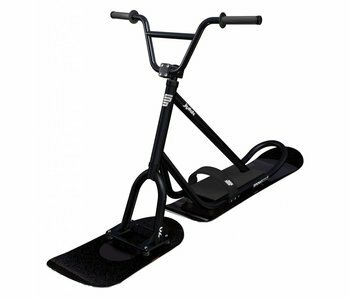 This model is suitable for all types of snowscoot riders and all types of slopes and snow. 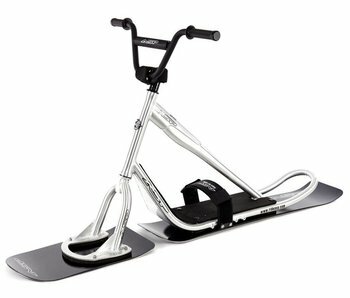 Snowscoot Snowbaar Beaster classic is the cheapest snowscoot available in Europe. 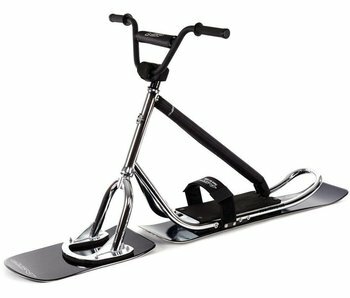 Made in the Czech Republic and an excellent quality price ratio snowscoot. Focused on the freeride snow scooter. 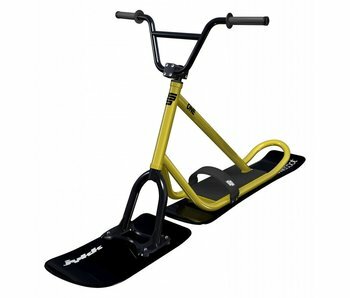 The Snowscoot of snowbaar is a snowscoot with a good price - quality ratio. This snow scoot is focused on carving and speed. 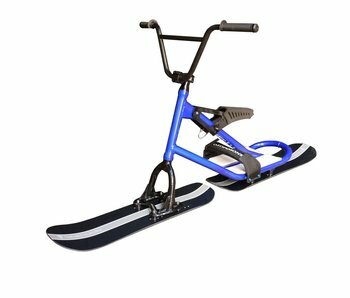 The Snow Moto MetalWorx snow bike models are a combination between the skibike , snow biking and snowscoot . The Sit2Ski is easy to use and makes for fun on the slopes. 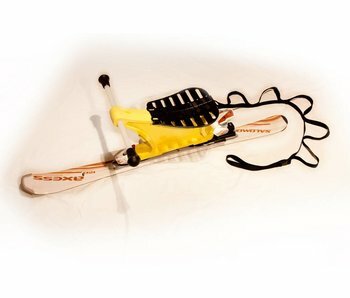 The Sit2Ski is stronger than the skibock and comes with or without ski. A revolutionary sports equipment with which everyone can discover the backcountry in the winter. You go up on short skis and collect them to sit on one. 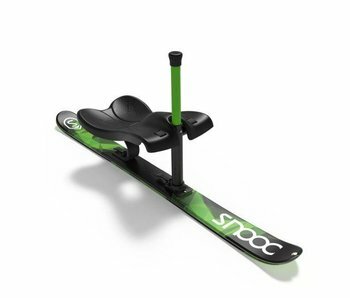 Super simple and fun to maneuver, the Snooc can enjoy everyone from the first day! 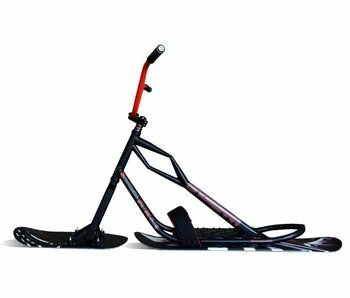 KFAVOR Snowscoot is based on the Style-A series Jykk snowscoot, an all-round model for everyone as a ski and snowboard alternative! The carve model of Longway. Currently the cheapest model at Wintersport4ALL compared to alternatives such as 3lmnt, ASP, Insane Toys, Jykk and Snowbaar. The best price quality ratio. 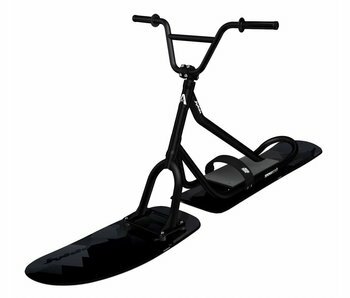 The Snowbaar Ultimate is the successor of the World Cup version Snowscoot. The frame is lighter and contains more grip plate pins. The ASP Snowscoot models from 3LMNT are solid models that have been on the market for years and have proven their solidity. Snowscoot 70 with Antoni Villoni boardset. Extra wide and large for off-piste powder rides. 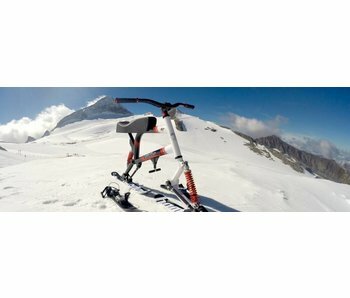 Sno-go Snowbike known from kickstarter. The model where everyone can go down the mountain. You are stable on two skis on the back piece of the Snowbike Snogo. 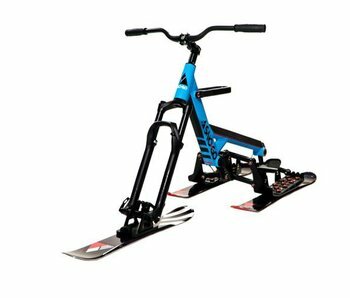 A cheaper version of the skibike Racer II variant of Sledgehammer. 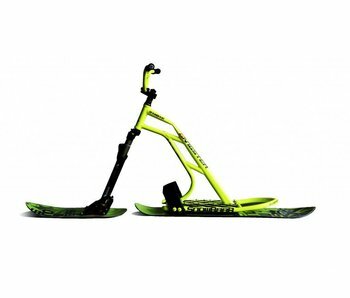 Inexpensive Alternative for the Brenter Skibike and Brenter Snow Bike! A Skibob is the race model under the skibikes and snow bikes. Because this is closer to the ground, it is a model ideally suited for higher speeds. In this model you should use footskies. 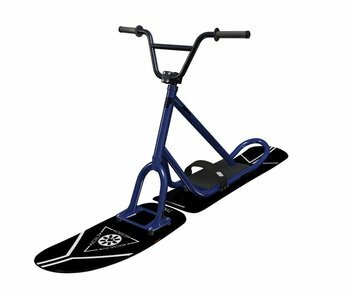 The Freestyle Snowscoot for the fun Park enthusiast. By the 70 ° frame more direct and better to drive. Snowscooting is easy to learn for young and old. It is also a perfect alternative to skiing and snowboarding. We also often hear again that it is a perfect alternative if you want to have an injury and yet skiing, skiing and snowboarding is not an option, the snowscoot do! Snowscooting do by moving your weight. You turn the wheel slightly and by putting force on your legs follow the board where you stand. With the right balance and turn-in to make a pretty corner. If you have, you can practice this master for carving. Here you can send not only turn in but you do everything from your weight and balance. 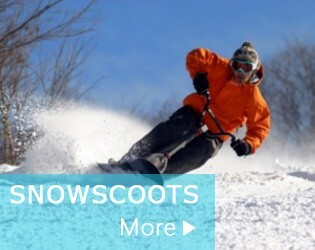 Check here our extensive tutorial for snowscoot. 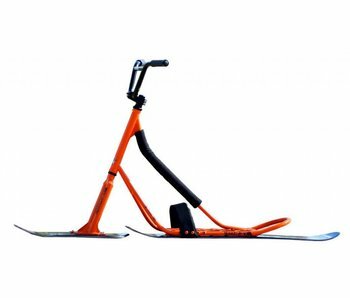 A skibike, also known as snow bike, is in fact a bicycle with two skis underneath. 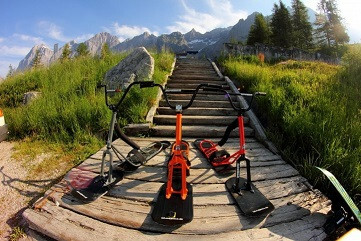 There are different types skibikes available in freeride and racing models. The most comfortable are the freeride models. This, you sit in a comfortable position compared to a racing model (Brenter). Skibiken is easy to learn. Within a few hours you ski the blue run off and you have the feeling of skibiken all the way through. It is also possible to deal with the skibike of a red and black run. In the elevator with a skibike is also possible, how? That you can read here. 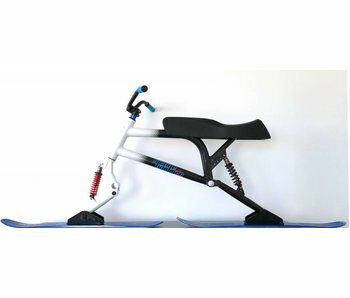 Even for people who are no longer so well skibiken leg is a good alternative. You charge only 10% of your legs and joints compared to skiing. Wintersport4All to you for advice, you want to try again? This is always possible! Please contact us. 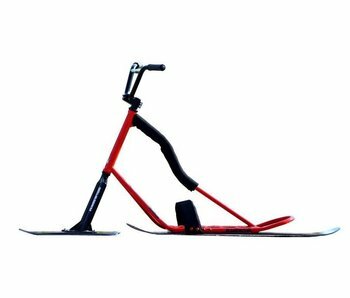 The skibock is a type of ski with a seat. You sit on the skibock low to the ground and can thus easily steer. It's a really fun product and fun to do with the family at the end of a beautiful winter day. On the other hand, it is also possible to move an entire day on the road with the skibock. The finest materials and ski it is possible to get along with the rest of the skiers and snowboarders around you. Wintersport4All provides two types, the sit2skien the skibockerl. The record on a skibock is 140km / h! Do you dare? Skibocken do by moving your weight. By the ski to allow the work to do is steer and brake very simple. Take advantage of the sharp edges and if you have you can make tight turns increasingly mastered carving. Here you can also use your hands by lightly touching the snow to fall so not out of balance.